Understanding why there is a regular rhythmic pattern to the world economy has baffled many. I believe this is caused by the convergence of so many aspects of life that the turning points are a rhythm of everything, yet simultaneously, we are individual creatures of our own fate. 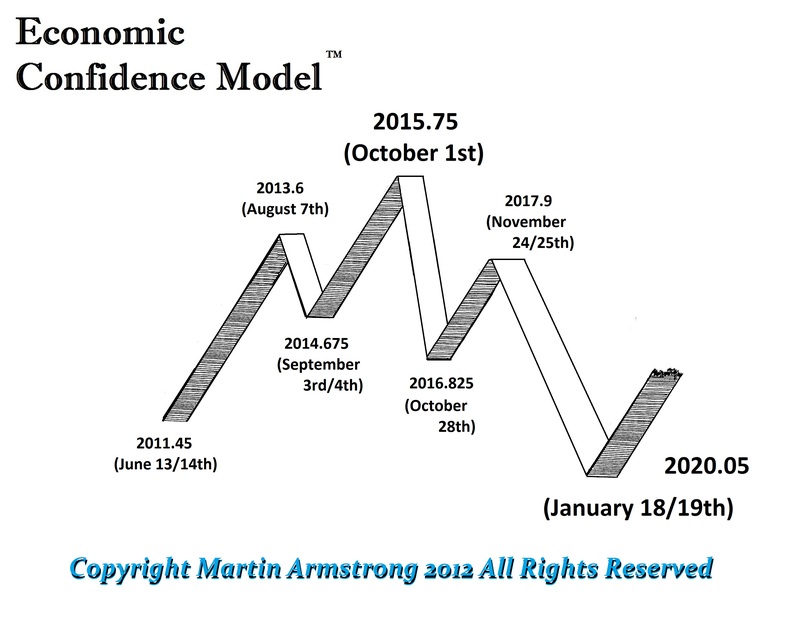 The ECM is the global composite where each and every financial instrument has it’s own unique cyclical frequency. 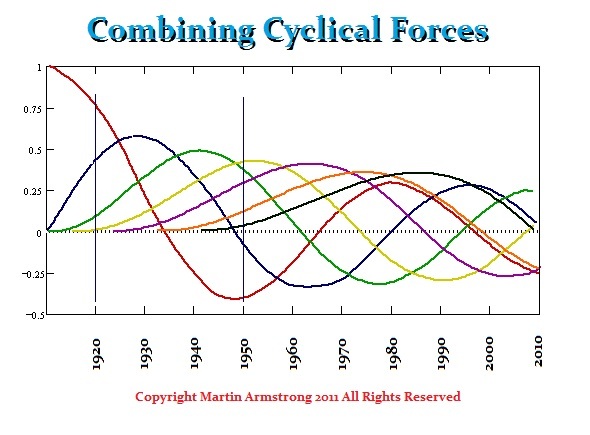 However, the complexity of cyclical movement is far more than the untrained eye can ever see. Simultaneously, the 8.6-year frequency also applies in two primary ways. First, the ECM 8.6 frequency will operate on each market as illustrated above. 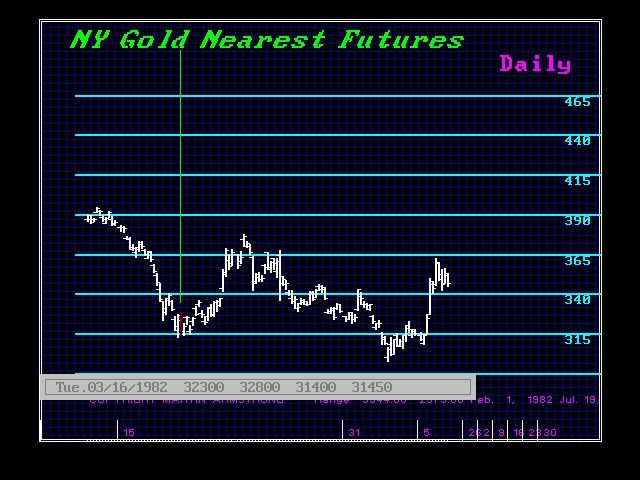 Gold peaked on January 21, 1980, which is 1980.0575. Adding the first quarter frequency of 2.15 years brings us to 1982.2075, which is March 16/17, 1982 (16.92 days into March). We can see that this turning point produced a temporary low to the day. Such precision is just astonishing, yet it raises a vast array of questions that I believe will set the stage for a new way of investigating the environment in which we live. The second aspect of this ECM model is the convergence. In other words, we are able to see where the boom and bust will take place by determining which market sector aligns with the major turning points. Of course the 1987 crash bottomed to the day with the ECM confirming that was the low. 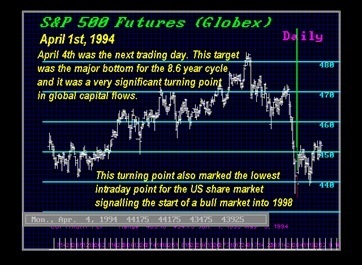 The same took place in 1994 where the U.S. share market bottomed right to the day, once again confirming this was an important low. Therefore, it has been the alignment of the individual market with the major ECM global frequency that determines the outcomes. This next turning point should be the peak in the concentration of capital and confidence in government. From there on out, 2015.75 should mark the change in trend where people will start to disbelieve government on a grand scale. The debt markets that peak precisely with the target are going to get the worst of it. What we do need to pay attention to is there a decline in the share market first that send capital rushing into the short-term government paper to create the final rally?